If you have a belly or a baby you will probably have noticed that all of a sudden people are acting like you are holding a sign that says “please tell me how to parent.” I’m sure the need to share parenting advice goes back to some evolutionary drive to make sure our population continues but it can be hard to know what advice to follow and what to ignore. Here are three pieces of advice that you can be sure to ignore. It amazes me how prevalent this myth is. For some reason we expect babies to be predictable the day after they’re born. There is no reason to expect more from our brand new humans than we do for ourselves. Who, when they are thirsty, looks at the clock to see if it is time to drink? And maybe your family is more organized than mine, but we definitely do not eat at the same time every day. Sometimes after eating I realize I’m still hungry and go back to the kitchen for a post meal snack. And sometimes I like a steak, while other times I want a salad. Babies are just smaller versions of us after all. So when is the best time to feed your baby? When they’re hungry of course. Humans are made with a desire to be connected. Your baby, who has spent their entire life connected to you, will be born with a very natural desire to continue that connection. That desire is healthy and normal. Babies need to know that the world they live in is safe, and they learn that when their needs and wants are met. When a baby cries and you pick them up they learn that their needs are responded to. When you carry them with you, they feel safe and secure. I really don’t understand where this fear of spoiling comes from, but it is definitely not science. Get a good sling, wear your baby, and ignore this terrible piece of advice! This makes sense if you were talking about older kids, but actually the opposite is true for babies. The more sleep a baby gets during the day, the less stressed they are, the better they sleep at night. If a baby is overtired their stress hormones rise and they actually have a harder time falling asleep. Newborns ideally shouldn’t be awake for longer than 2 hours. 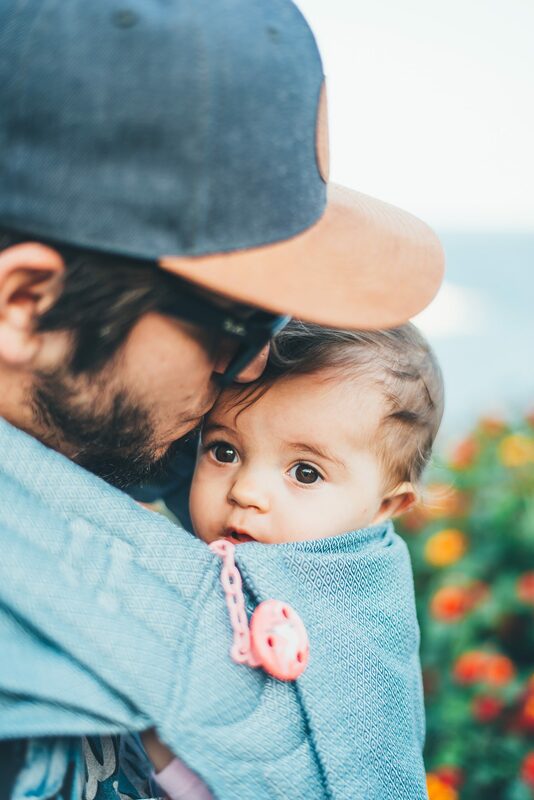 Wearing your baby is a great way to lull them to sleep (good thing you’re not worried about spoiling them). Learning how to graciously ignore parenting advice is a rite of passage. There are so many opinions out there. Learn to trust your own instincts, you know this tiny human better than anyone. Just smile, nod, and then go home and do whatever you want to.